← Reducing Your Risk of Cancer – 3 things you should include in your diet. Want a better brain? Lift Weights! Exercise has long been known to increase brain function. Most of the research, however, focused on the benefits of purely cardiovascular exercises like running. New research shows that weight training has the same effect. Conventional wisdom has stated that the benefits of cardiovascular exercise on brain function was from the significant increase in blood flow to the brain during aerobic type exercises. It was concluded that because weight training didn’t cause this to happen for extended periods of time, it would not have the same benefit. The creation of new brain cells, or neurogenesis, is thought to be dependent on a spike of blood flow to the brain. In fact, running and other aerobic exercises have been shown to increase neuron production in the areas of the brain associated with memory and thinking in both mice and humans. However, this was thought not to apply to resistance training. That is changing. A similar study from Japan at the same conference came to the same conclusions. The genetic activity is important. That’s precisely how the human brain adapts. It changes the expression of certain genes in order to respond to certain environmental input. That input may be in the form of exercise like weight training or it may be more cognitively based like learning to play the piano. Whatever the input may be, the brain changes in response to the activity being performed. This is a phenomenon called plasticity. And the brain remains plastic our entire lives! That means it can change right up to the day we die. Just how does this resistance training increase brain function? No one knows for sure, but there are theories. The researchers propose that because weight training reduces many cardiovascular risk factors and does increase the strength of the heart it may also help the brain through similar mechanisms that aerobic exercise does. I have another theory. Ninety percent, yes that’s 90%, of the input that comes into our brains during any given day comes from the receptors in our muscles and joints. That means that if we take into account all of the sensory input that our brains receive during the day – light, sound, touch, smell, proprioception – a full 90% of that input is coming from our muscles and joints. If the body requires that much input from our musculoskeletal system it must be important, right? It is. This input keeps the brain functioning normally and maintains the health of just about every type of neuron in the brain. Resistance training makes this input more efficient. By training the muscles with weights they send more regulatory information to the brain and you also increase the amount of information coming from the joints. The stronger your muscles the more force is applied through your joints. This combination is a winning one in terms of brain function. The best type of exercise program is one that includes both cardiovascular and resistance type training. 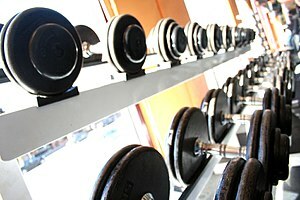 People are often hesitant to start a weight training program because of lack of knowledge on how to properly do it. If you are concerned hire a knowledgeable trainer to show you how to do it. The benefits will far outweigh your hesitance to start.